Not having the car for a couple of days didn't affect our day to day life much. We had bought all the groceries for the whole week during the last weekend and it's only a 20 minute walk to work. However, we were worried about one particular thing. My wife's drive test was scheduled for Friday morning!!! I towed the car to Chadstone Toyota on Monday. Thursday was Australia day, which was a public holiday. So, if I didn't get the car by Wednesday, my wife wouldn't be able to practice driving on Thursday and we probably wouldn't be able to go for the test on Friday. (Friday was a holiday at work, although it went out of our annual leave.) My wife has never taken the bus or the train by herself, which is the reason why this was a problem in the first place. I have to take her to the test. The VicRoads test centre we picked was about 40km away from home, as the routes there were less complex. Besides, the instructor was more familiar with the test routes there.Luckily, we got the car back on Wednesday and my wife was able to practice driving on Thursday. On Friday, we could go for the test as we planned, and by some miracle, she passed it!!! This particular Friday was a good day for the drive test because there were less cars on the road, because many people were taking the Friday off to make it a four-day long weekend. The schools were still in holidays until 1st of February. I would like to talk a bit about the events that led to this day. 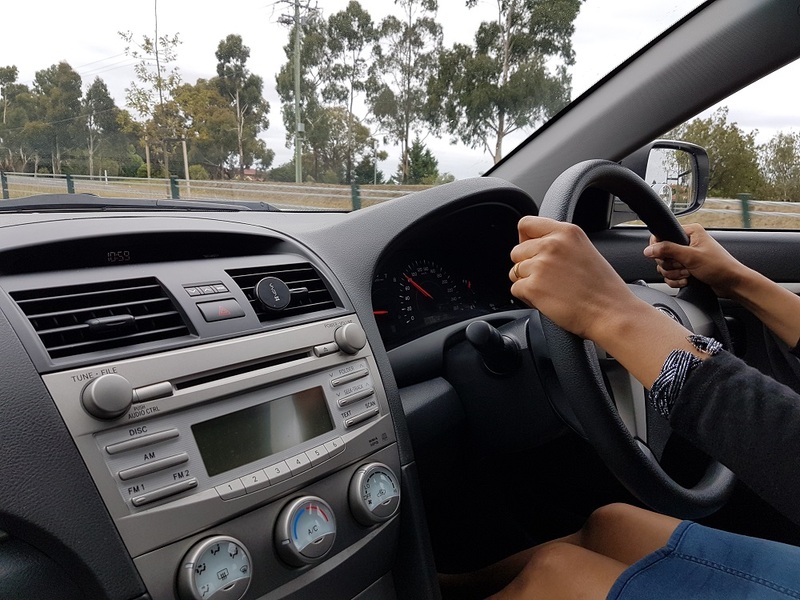 My wife had to start the journey to obtain the Victorian driving license from taking the road rules test at VicRoads which happened in September. After passing that test in the first attempt, she applied for a learner permit which allowed her to practice driving with a full license holder on the passenger seat. If you are on a permanent resident visa, you can drive up to 6 months in Victoria with your overseas license. The 6 months is calculated from the first point of entry, which happened in October 2015 for us. By the time my wife moved here in April 2016, her 6 months were already up, so she had to get the learner permit anyways. (I had a couple of months before mine expired as I arrived in February, so I could practise driving myself.) After getting the learner permit, she took the Hazard Perception Test and passed it in the first attempt as well. This brought her closer to obtaining the Victorian license. Only thing remained was passing the drive test. (It's much easier to get the full license for people who have a overseas full license, otherwise it is a lengthy process.) Since she had not driven a car in almost 5 years, we decided to take some driving lessons first. The driving school we decided to attend was a Sri Lankan one called Learning Pedals. The instructor assigned to my wife was a female, and at the beginning she came to pick my wife up. After a couple of lessons, we had to decide where we would take the test, and we had to practice on the test routes to familiarise about the tricky spots. We could take the test at Heatherton or Burwood, but the routes were known to be a bit complex. We were hoping to take the test before my parents returned to Sri Lanka on the boxing day. So the instructor recommended that we go to Pakenham for the test because the routes were simple and it was easy to pass in one go. Since Pakenham was about 40km from our place, I had to drive her there for the lessons on Sundays. We had to take our baby girl with us as well, because she would need a feed. We left our son with my parents. We must have visited Pakenham at least 10 times before the test. Sadly, my wife's first attempt didn't go well. She was too tensed on that day and made too many mistakes which forced the examiner to declare her unsuccessful. None of the mistakes weren't severe ones that would have failed her on the spot. She didn't even go to the second stage where you would have to drive on roads with a speed limit more than 60km/h. We took that test after my summer vacation had started, so I didn't have to take leave specifically for that. That was the only positive about it. We wanted to book a test again ASAP, but there weren't any vacant slots for many days. Finally we found a slot on a great day, and relievingly, she could pass the that time. Phew! She got the 3 year license for the same reasons as I did. Unless you live in the city where the public transport is decent, you have to know how to drive a car if you are living in Australia. When you go further away from the city, the public transport services start to diminish. The country is very big and there usually aren't any shops within a walking distance. Most households have two cars: one for each adult. While we don't have any immediate plans to buy another car, I think it is inevitable. There is not urgent need for her to drive at the moment, especially we live in a well developed area and I work very close to home, but we cannot afford a house around here. So we have to move further if we want to buy or build a house and that is when she would have to drive as habit. But one wouldn't magically begin to drive confidently overnight. It takes time, but I hope my wife will get there in time. My wife's plan is to drive my elder kid to kindergarten and playgroup. Both of them are only a few minute walking distance from our current apartment. But we might have to move to another place soon; the 1 year contract for this apartment will be ending in a month and a half. Then she might have to drive him there. She still hasn't driven without me on the passenger seat. The first time she drives the car alone will be a real test for her. My other concern is that she is too tensed when driving the car. She hardly wants to talk or turn the radio on. It could just be the exam stress back then. She had to pass the test this time because I cannot take too much time off from work to take her for lessons/practice/test. I'm sure it was bothering her mind. Or probably she is too watchful because I cannot do anything if something goes wrong; there is no handbrake in our car - it has a foot operated park brake which only she can access. I hope she doesn't take too long to confidently drive the car without my on the passenger seat. Otherwise, her getting the license wouldn't have made my life any easier.